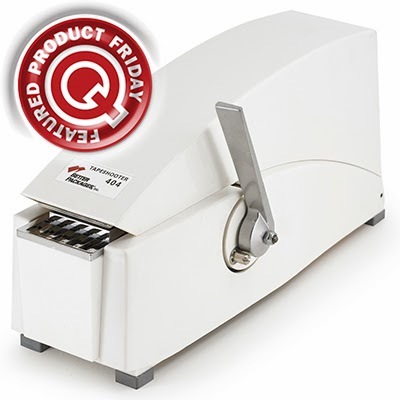 Save 42% off the MSRP on Q Source A24-351 "Attention Observe Precautions" 4” x 4” ESD Labels (1,000 Per Roll) when you use our FPF022814 Coupon Code. This Featured Product Friday (FPF) promo is valid from today, February 28, 2014 through Sunday, March 2, 2014. 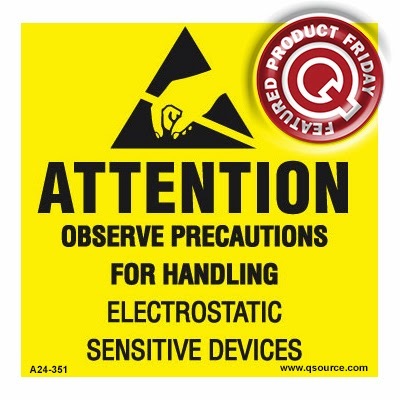 Q Source A24-351 "Attention Observe Precautions" ESD Labels (Q Source SKU: A024-000351, Vendor #: A24-351) are perfect for applications that require attention to ESD-sensitive devices. These labels generate less than 50 volts when removed from the roll (1,000 4” x 4” labels on a 3” diameter core). Regularly listed at $15.60, but with our FPF code savings you’ll get it for just $8.99 (a savings of $6.61). While this is a 3-day limited-time price, the coupon is unlimited. Use the code as many times as you like while it is valid—and please feel free to share the code with your friends & colleagues, too. Please note: This promo is valid only at QSource.com. 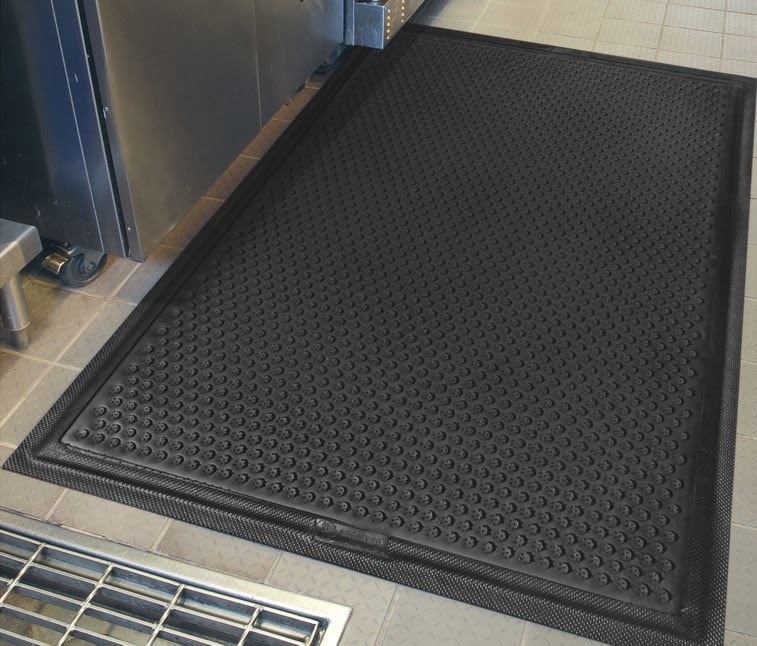 Save 36% off the MSRP on the QRP 9C-L Nitrile Latex-Free Cleanroom Finger Cots 720-Pack (Large Size) when you use our FPF022114 Coupon Code. This Featured Product Friday (FPF) promo is valid from today, February 21, 2014 through Sunday, February 23, 2014. QRP 9C-L Nitrile Latex-Free Cleanroom Finger Cots (Q Source SKU: Q007-000088, Vendor #: 9C-L) are made of 100% nitrile and are completely free of latex and latex proteins. 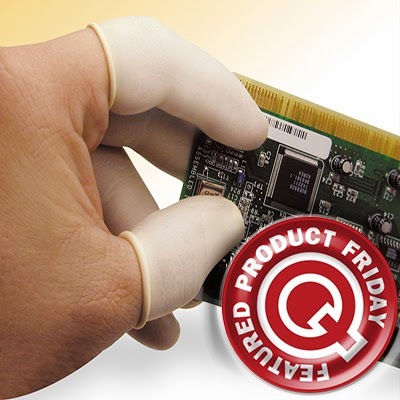 These anti-static finger cots are perfect for working with Class II ESD-sensitive devices in applications such as IC industries, wire bonding SMT, PWB assembly, and discrete component handling. Regularly listed at $51.09, but with our FPF code savings you’ll get them for just $32.50 (a savings of $18.59). While this is a 3-day limited-time price, the coupon is unlimited. Use the code as many times as you like while it is valid—and please feel free to share the code with your friends & colleagues, too. Please note: This promo is valid only at QSource.com. Workrite Ergonomics believes that worker comfort and productivity is directly related to the ergonomic design of the workplace furniture and equipment. 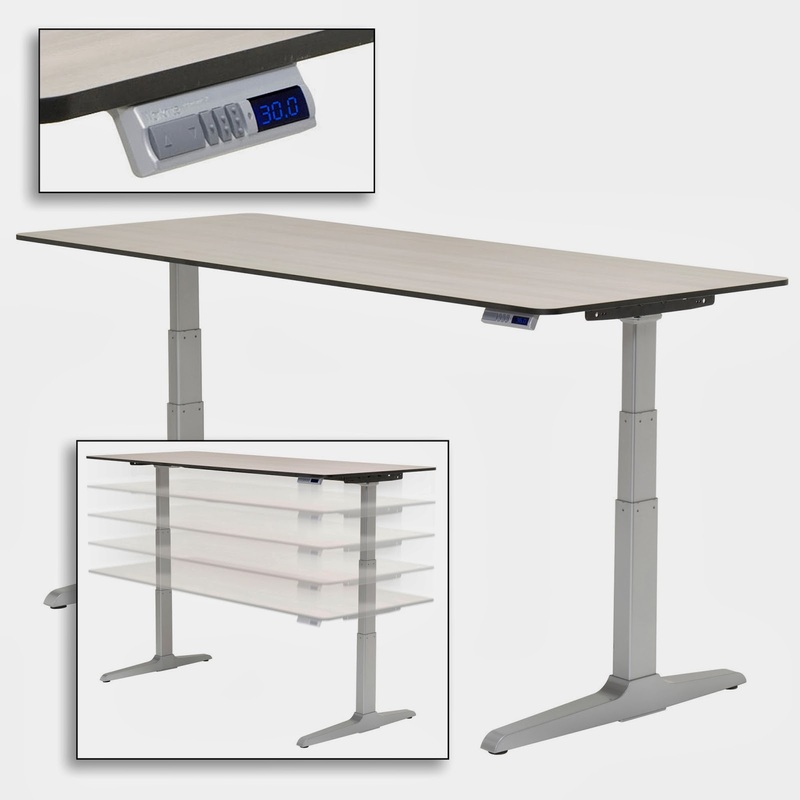 Their Sierra HX Electric Adjustable Height Workcenters were created to address such needs and enhance employee health. 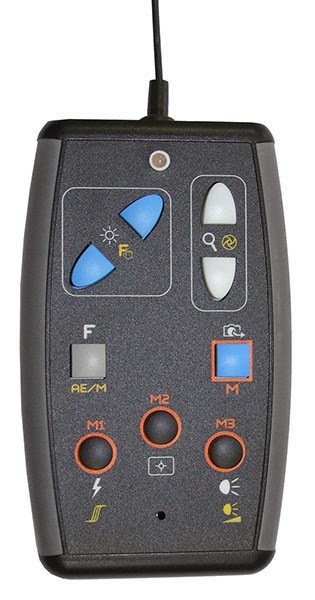 We recently added thousands of Workrite Ergonomics products to QSource.com including 588 Sierra HX Electric items. Let's take a look at the features and benefits of these innovative workstations. The Sierra HX Electric Workcenters feature motorized adjustable height via quiet motors, which provide more than 100 pounds of lifting force per leg, allowing for precise positioning (with three memory pre-sets). 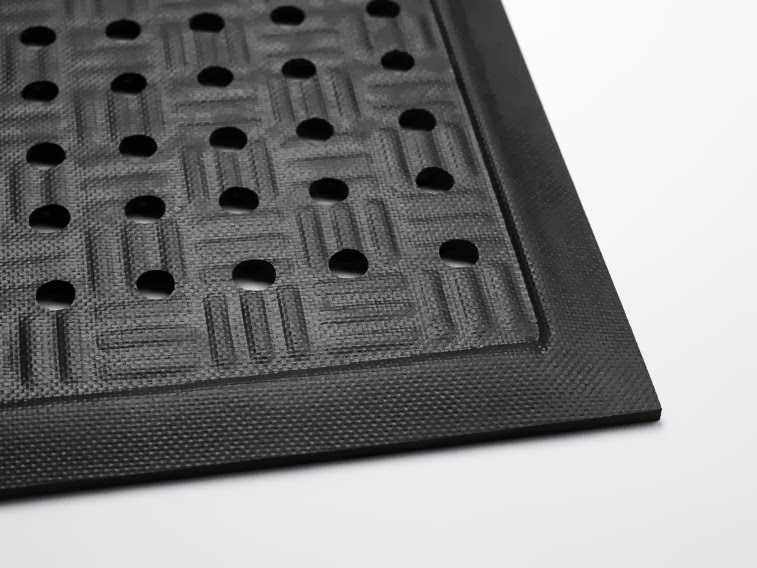 These tables also eliminate the standard crossbar to provide maximum leg clearance for user comfort, while maintaining unrivaled stability through an under-the-worksurface mount structure. Workcenters in the ANSI-BIFMA X5.5-1998-approved Sierra HX Electric Series use their 225-lb. lifting capacity to provide a 22"-48" at 1.6" per second height adjustment. 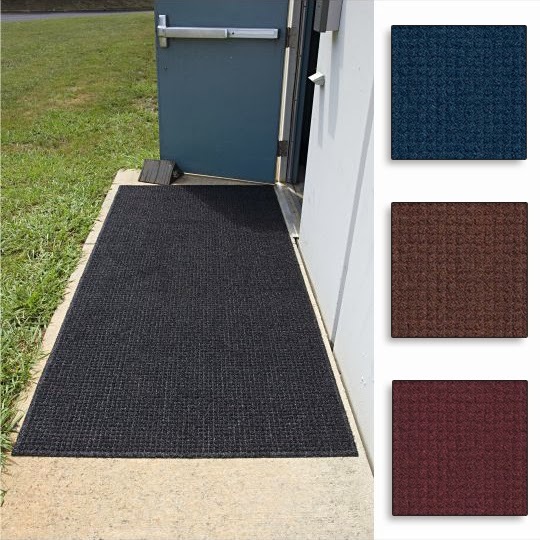 These stations are available in 24" or 30" depth, 36", 42", 48", 54", 60", 66", and 72" widths. These tables can also be fitted with a number of tool bar and rail system accessories to create a custom workstation to meet your needs. 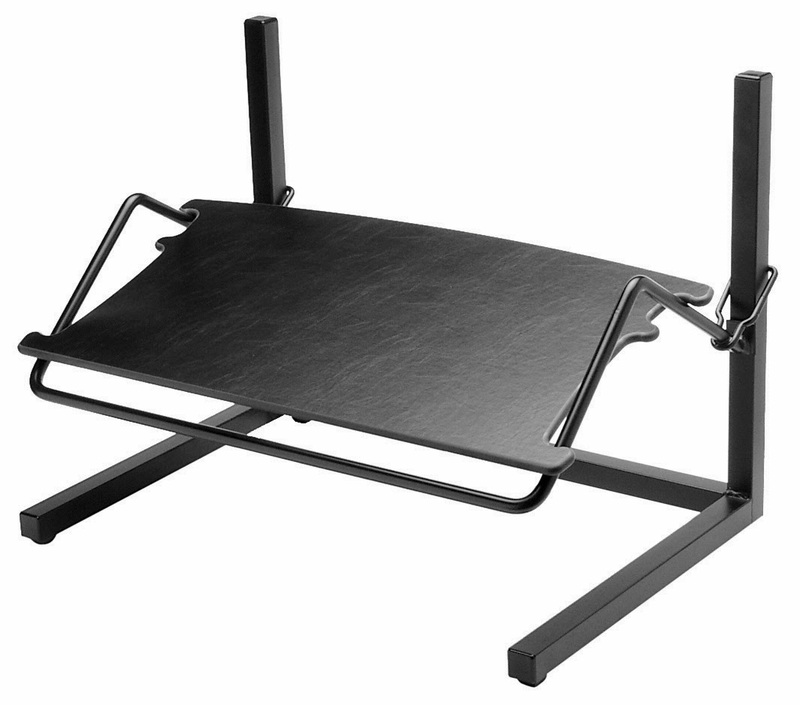 Available accessories include modesty screens, CPU holders, keyboard holders, footrests, and more. Visit Q Source's Workrite Ergonomics Department to place your order for the Sierra HX Electric Series Workcenters. For phone/email orders, or to have one of our knowledgeable associates assist you with building your workstation, please contact us via email or at 800-966-6020. Q Source: Hi, Dave. Sorry about the bad pun. So, we've previously discussed stations for soldering and desoldering, tell us why we would need to add a hot air rework unit to our soldering system? Dave Ford: Well, that's a very good question. When surface mount technology (SMT) became commercially viable in the 1980s, we used infrared (IR) reflow ovens to make the solder connections. Almost immediately we began to see post-soldering failures with predominantly active components using fine traces inside the component. 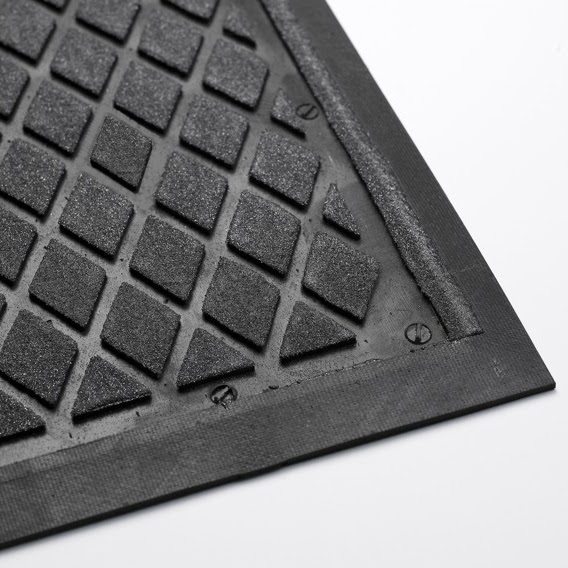 Different materials accept heat from various radiant sources at different rates causing internal traces and external bodies to expand and contract at dissimilar rates. 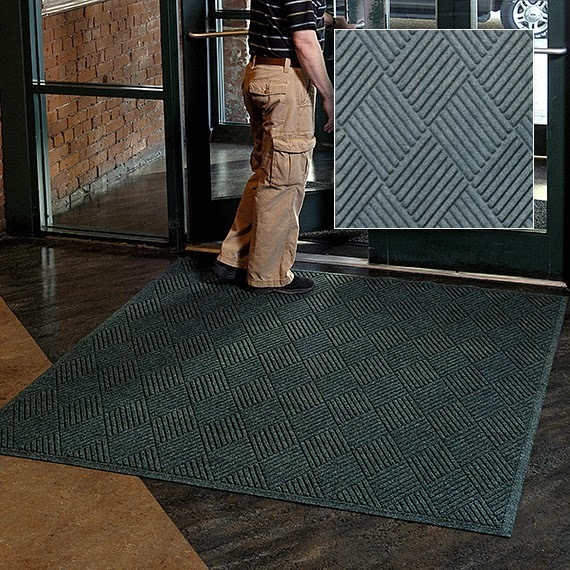 This creates a thermal tug-of-war and damages sensitive components. We discovered this in destructive tests of failed components. Q Source: How does a hot air system address this problem? 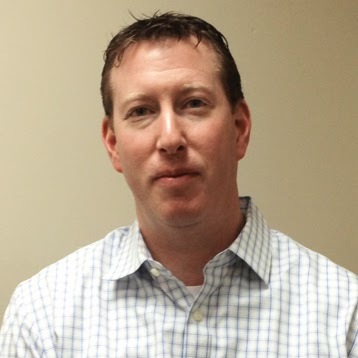 Dave Ford: We got into all kinds of complicated discussions about emissivity, color, radiant heat sources, component materials selection, mass, and other contributing factors. In the end, we found that the best solution across the board was to move from radiant IR to forced-air convection ovens. Q Source: Why is hot air the best solution? Dave Ford: Hot air gives up its latent heat to dissimilar materials at a very similar rate. So, the coefficient of thermal expansion problem was virtually solved quickly by this simple change. Q Source: But we're working on one component at a time in rework, right? Dave Ford: Yes, but by imitating the process by which the component was attached in the first place we stand the greatest chance of successful rework. Q Source: Okay, so we’re focused on the FR-801 Hot Air Rework System today, but there’s also the Hakko FR-802 and the Hakko FR-803. How does the FR-801 stand out? 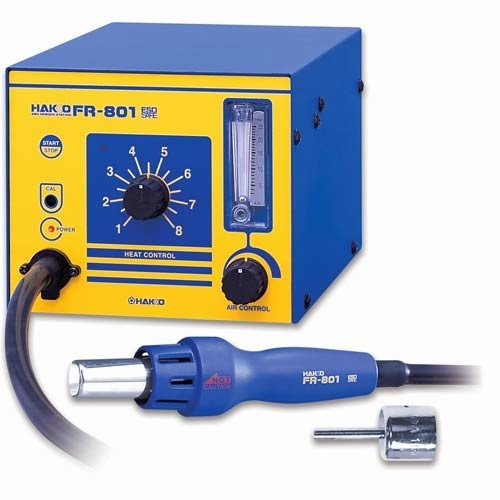 Dave Ford: The FR-801 is Hakko's most economical initial purchase for hot air repair. While all three stations use the same nozzles, each has its own place in the market. Each station also has an internal air pump with variable pump speed and variable heater temperature control. What is different is just how those two variables are controlled. Q Source: What are those differences? Dave Ford: The FR-801 uses analog rotary dial controls for pump speed and temperature output. The FR-802 uses digital controls for both variables with a lockout card for process control. And the FR-803 also uses digital control with a card key lockout, includes a microprocessor to allow for ramp/soak, spike/cool profiles, and stores up to 50 different processes on-board. It also features central vacuum pickup and can be linked to various Hakko preheaters via an umbilical cable to control them as part of the overall rework process. Q Source: Is the FR-803 for more advanced applications? 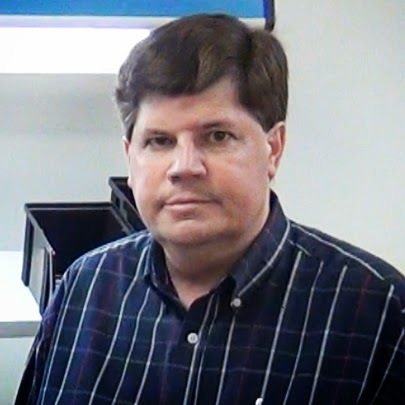 Dave Ford: Setting up the FR-803 with controlled bottom-side pre-heater is not unlike setting up a reflow oven and more closely matches the original manufacturing environment. This setup is more prevalent with complicated assemblies and processes like military or cell phone boards, BGAs, and QFNs. Q Source: In closing, why should our customers purchase the Hakko FR-801 Hot Air Rework System? Dave Ford: Cost and simplicity. Any of these systems will get the job done; the difference is where the intelligence resides: either in the machine or in the operator. What you are purchasing when you move from the FR-801 to the other Hakko hot air repair options is efficiency, which is speed, safety, and repeatability. 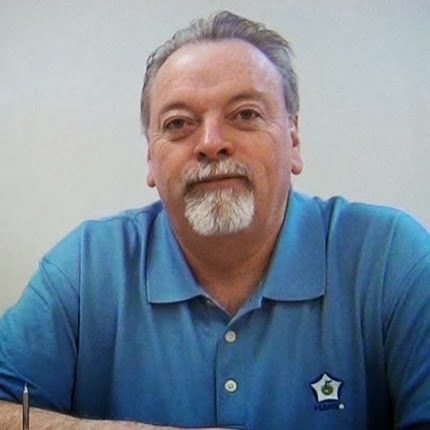 Q Source would like to thank Dave Ford, our Hakko representative, for spending some time to share his in-depth knowledge of Hakko products with our readers. 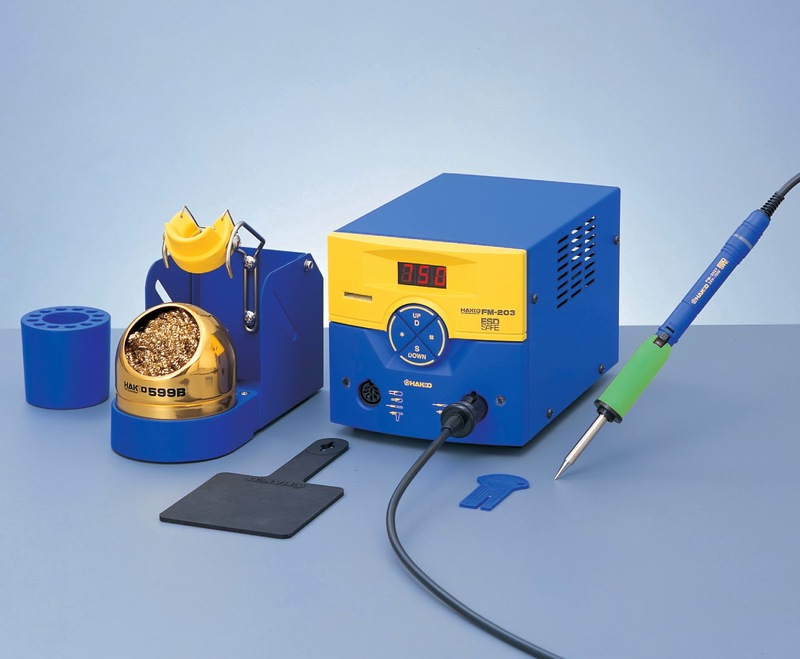 To place an order for the Hakko FR-801 Hot Air Rework System please visit our 30th Anniversary Partner Promo Page at QSource.com or contact us via phone (800-966-6020) or email. Save 31% off the MSRP on Q Source's 3" x 3" Metal-In Zip-Top Static Shielding Bags (100/Pack) when you use our FPF021414 Coupon Code. This Featured Product Friday (FPF) promo is valid from today, February 14, 2014 through Sunday, February 16, 2014. The Q Source Metal-In Zip-Top Static Shielding Bag (Q Source SKU: P041-000069, Vendor #: 3X3X.003-ZIP) is perfect for packaging static-sensitive electronic components without the loss of visibility. Regularly listed at $5.10, but with our FPF code savings you'll get it for just $3.50 (a savings of $1.60). While this is a 3-day limited-time price, the coupon is unlimited. Use the code as many times as you like while it is valid—and please feel free to share the code with your friends & colleagues, too. Please note: This promo is valid only at QSource.com. Looking for quality, low-priced, metal-in static shielding bags for your static-sensitive electronic components? Our new Q Source Static Shielding Bags Department at QSource.com offers dozens of premium quality bags in a number of sizes and your choice of open-top or zip-top. 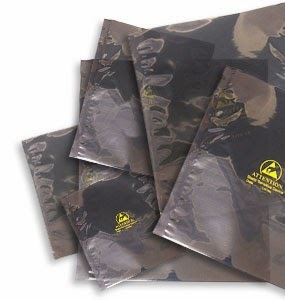 Q Source Static Shielding Bags (sold in packs of 100) are always in stock and always ready to ship. These bags provide protection and visibility for identification of your components. 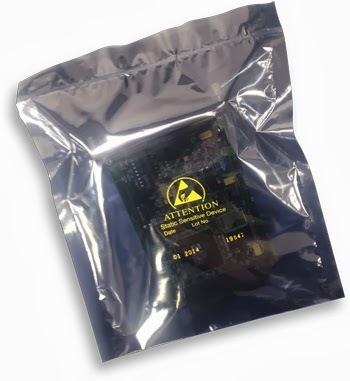 Featuring a four-layer film made of a static-dissipative coating outer layer, buried polyester, aluminum shield, and a PE inner layer, these bags are also suited for heat sealing applications. Puncture Resistance: > 12 lb. Tear Initiation: > 2 lb. 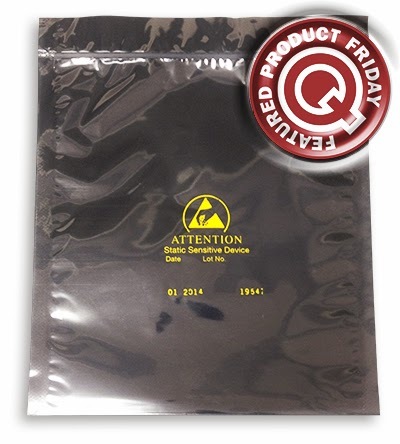 Q Source keeps a large inventory of these premium static shielding bags in stock so they're always ready to deliver. You may also be interested in our Q Source Anti-Static Bags. Orders may also be placed by calling 800-966-6020. Looking like something out of a futuristic sci-fi movie, Vision Engineering's new VisionZ Video Inspection System was designed as a highly versatile, 720p HD unit that offers exceptional high-definition image quality. QSource.com now offers four VisionZ packages and a selection of related accessories. The Vision Engineering VisionZ packages the power and ease of digital inspection with the high-performance that operators need for precision tasks. Its very large field-of-view and wide zoom range allow operators to see full samples with the ability to zoom in for intricate details, and the very long working distance allows for easy manipulation for rework or inspection tasks. Please note: The VisionZ is available with or without a monitor. Magnification range data is with the 22" monitor. 4D lens is standard option with the Bench-top Stand and 5D lens is standard with the Struktura stand. 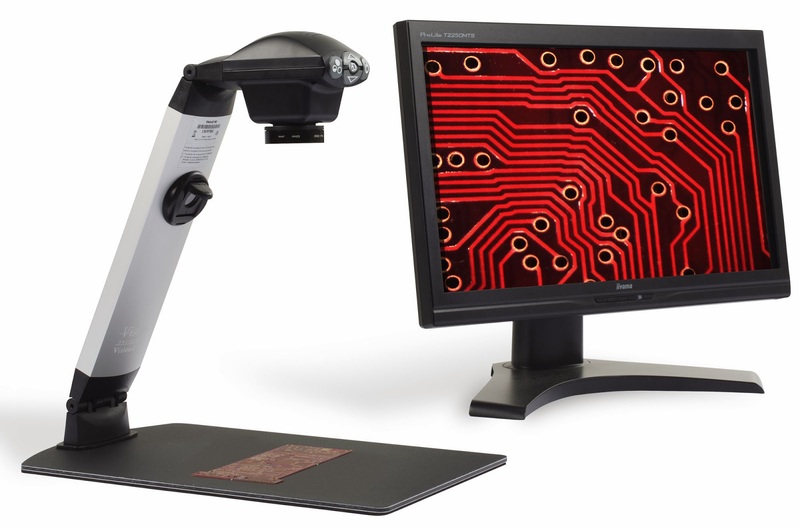 For a versatile and portable video inspection system that offers exceptional HD images and a wide range of zoom options, check out the Vision Engineering VisionZ at QSource.com. Place your order for any of the VisionZ products via our VisionZ Department online or contact us via email or at 800-966-6020. In this second of three "On the Bench" videos with our Hakko representative, Dave Ford, we take a look at the Hakko FM-203 Soldering System. Our previous video with Dave was an overview of the Hakko FX-951 Soldering Station. The FM-203 Dual-Port Soldering System features two ports that allow use of a variety of 70-Watt tools (such as soldering irons, SMD hot tweezers, desoldering tools, etc.) or one 140-Watt tool. This station is calibration free and includes auto shutoff, sleep mode functionality, and a lockout key card. Learn more about this multi-faceted soldering system in our "On the Bench" video. To purchase the Hakko FM-203 Dual-Port Soldering System, please visit QSource.com or contact us via phone (800-966-6020) or email. The FM-203 is part of our 30th Anniversary Partner Promo and from now through March 31, 2014 you’ll get an additional 10% OFF the advertised price, FREE shipping, and a FREE tip with your purchase. QSource.com also features a large selection of other Hakko products.